Vilma Villerot, 90, passed away January 28, 2019. Beloved wife of the late William. Cherished mother of Robert W. (Marge), James A. (Debra) and Ellen M. (David) Cusin. Dearest grand mother of Mary Villerot, Julie Villerot, Matthew Cusin, Michela Cusin, Stephanie Cusin and the late Christopher Villerot. Sister of the late Evelyn Salvador and Marion Sherman. A visitation will be held on Friday February 8, 3-8pm, Rosary at 7pm, at Neely-Turowski Funeral Home, 30200 Five Mile Road, Livonia. Funeral Mass will be held on Saturday February 9, 10am with an instate 9:30am at St Priscilla Catholic Church, 19120 Purlingbrook St, Livonia. In lieu of flowers donations may be made to the charity of your choice. 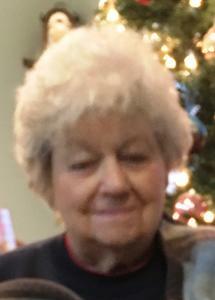 To share a favorite memory and/or photo of Vilma and to sign the online guestbook, please visit www.turowskifuneralhome.com.